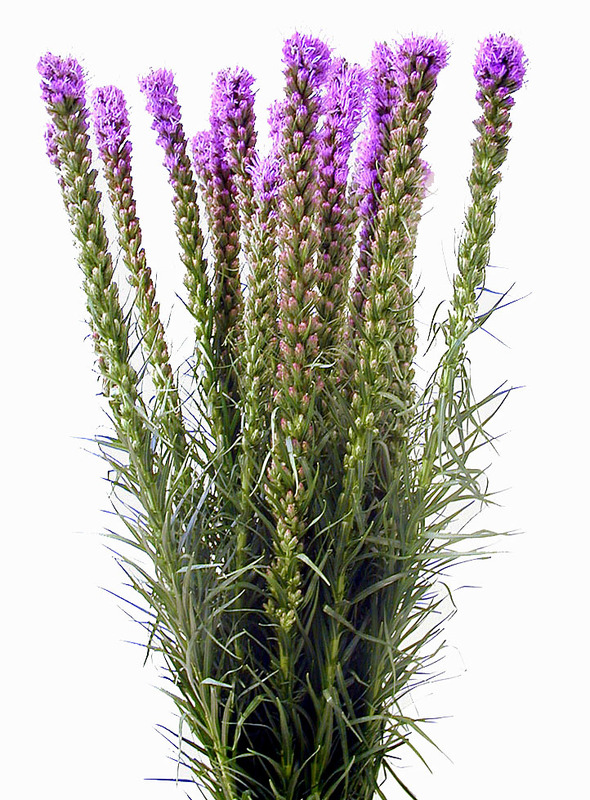 Liatris is also known as Blazing Star and Gayfeather. Liatris thrives in the moderate coastal climate of southern California. marshlands, prairies and meadows across north eastern North America. flowers of the Liatris outlast most other fresh cut flowers – keeping their beauty for nearly 2 weeks. point in an arrangement, providing texture, height, color and fragrance.